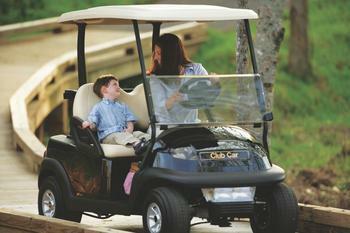 Hardkore Karts is recalling 34 model year 2009-2013 Club Car Precedent golf carts equipped with the street package, manufactured July 1, 2013, to November 1, 2016. The vehicles do not have a vehicle identification number (VIN), certification label or DOT compliant windshield. As such, they fail to comply with the requirements of 49 CFR Part 567, "Certification." In the event of a crash, a non-compliant windshield may have an increased risk of occupant injury. Hardkore Karts will notify owners, and provide a VIN, the correct certification label and install the correct windshield, free of charge. The manufacturer has not yet provided a notification schedule. Owners may contact Hardkore Karts customer service at 1-877-796-5501.